Picking your boat is one thing, picking your destination is quite another. Luckily, there’s little chance you’ll go wrong with two of our most popular itineraries. 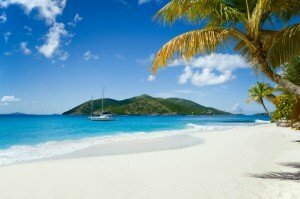 From breathtaking beaches and gorgeous coral reefs to shopping, golfing, and nightlife sailing the Caribbean on a chartered yacht is the best way to travel! Flying into Union Island and cruising down to Grenada is one of our most popular itineraries. Flying into St. Vincent and cruising through the Grenadines down to Union Island is another. To read the St. Vincent to the Grenadines itinerary, click here. If you fly into Union Island any other time, there’s still an abundance of fun to be had. Climb on board your yacht and let the real adventure begin! A beautiful sail from Union Island, Petit St. Vincent is a private island with a 113-acre resort and just 22 cottages. Secluded and quiet, stop here for a trip to the hillside spa, practice yoga in a pavilion overlooking Conch Bay, or fish and swim in the crystal waters. Hikers can trek to the top of Marni Hill for great views. And hungry travelers can take in the charms of the hillside restaurant or happy hour with other yachters at the beach bar. Sail into one of the many harbors of Carrriacou Island, and prepare yourself for all this lovely island has to offer. Less developed than some of the islands, Carriacou isn’t home to any major resorts or 5-star hotels—just 16 miles of rolling hills, white sand beaches, and authentic island living. There are no shortage of walks to interesting historical sights, and the snorkeling is top notch. Immerse yourself in local culture and enjoy the many festivals offered throughout the year. This island country and Commonwealth realm is home to an exciting blend of eco-tourism sites, industry, and upscale resorts. Culturally-rich and inviting, Grenada features beautiful beaches and waterfall-dotted, hilly terrain. Frequently called “The Spice Island,” Grenada is one of the world’s largest producers of cinnamon, nutmeg, mace, cloves, citrus peels, and wild coffee. Sail into Grenada and explore its National Parks; tour an old plantation; imagine battles from your perch in a fort; or spend the day at a rum distillery, swim in one of the waterfalls—there’s something for everything on this island! Flying into St. Vincent and cruising through the Grenadines down to Union Island is one of our most popular itineraries. Flying into Union Island and cruising down to Grenada is another. After flying into St Vincent, you’ll take a quick taxi to Young Island Cut, where you’ll meet up with your chartered yacht and begin your sailing voyage. From Bequia to Mustique, Canouan, Mayreau, and the Tobago Cays to Palm Island and Union Island, this is one island-hopping adventure you’ll never forget! The largest of the Grenadines, this lovely island is a haven for natural exploration, maritime buffs, shopping, and mingling with local sailors. Drop anchor in Bequia and explore one of the 28 dive sites. Catch a glimpse at ghostly shipwrecks and exotic fish; visit the whaling museum and learn about the island’s maritime history; or take a trip to the turtle refuge farm and fall in love with some of nature’s slowest charmers. Celebrity spotters take note: this privately-owned island is the playground of the rich and famous. With such noted visitors, you never know who you might run into. With no traffic lights, beach vendors, or power lines, sail to Mustique for quiet relaxation on gorgeous beaches, tennis in paradise, and upscale parties—the island is tailor-made for the discerning traveler. Home to one of the longest barrier reefs, and three major resorts, laid-back Canouan is a great place to snorkel, hike, hit the casino, or just soak up rays on the white sand beaches. Anchor your yacht in one of Canouan’s two beautiful bays, take in the views, and get in a round of golf at one of the best golf courses in the world. 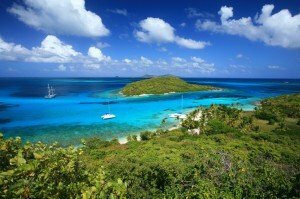 The smallest inhabited island of the Grenadines, this wee outpost is home to around 300 people and spans just 1.5 miles. You won’t find much hustle and bustle here—just incredible beaches, an abundance of fishermen, and a charming hilltop stone church that offers stunning views of neighboring islands. Visit the salt pond or dock your yacht in Saline Bay, where you can snorkel or dive the wreck of a World War 1 gunboat. Tiny Palm Island is a great place to dock your yacht for a few hours. Enjoy waterfront dining at one of the resort’s two open-air restaurants, stop in for a massage, or go for a stroll along the island’s five lovely beaches. Just a quick sail away is the much larger Union Island, a hot-spot for culture and nightlife. With no shortage of great bars and Caribbean restaurants. It seems like there’s always something happening on Union Island. Visitors who arrive during Easter Holy Week, late May’s Maroon celebration or during one of two major sailing regattas are sure to be treated to a taste of Caribbean culture. But don’t worry—if you sail into Union Island any other time, there’s still an abundance of fun to be had. From turtle watching to shopping, dancing, and diving, Union Island is a gem. Picking your boat is one thing; picking your destination is quite another. Luckily, there’s little chance you’ll go wrong with these two itineraries. From breathtaking beaches and gorgeous coral reefs to shopping, golfing, and nightlife—sailing the Caribbean on a chartered yacht is the best way to travel! Click here to read the full St. Vincent – the Grenadines BVI Sailing Vacation itinerary. Click here to read the full Union Island – Grenada BVI Sailing Vacation itinerary.